According to men’s team captain, Antoine Clément, the club has been around for six or seven years. 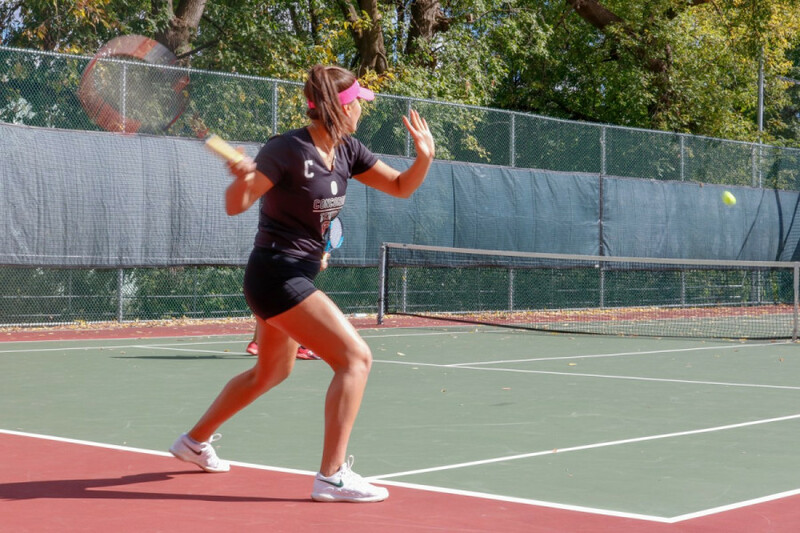 It was started by former students, who realized Concordia didn’t have any tennis related extracurricular activities and they were “sick of it.” So they did something about it. From its inception the tennis team has been self funded, and has yet to be recognized as varsity by the school, meaning they can not actually call themselves Stingers like members of the hockey or football teams can. Since they do not have varsity status, they are also not permitted to use Loyola’s athletics facilities to practice unlike many of Concordia’s other teams. Antoine has been a part of the tennis club for two years. This year, his younger brother Grégoire Clément joined him. The brothers have been playing tennis together since they were small, though playing university level tennis marks a new chapter for them. Emma Cesvet is the captain of the women’s tennis team. Cesvet has been captain for around two years. “It’s been an amazing experience so far, with lots of responsibilities since we’re not funded by the school,” she said. Cesvet said there are 10 women on the tennis team this year. “It’s not the most popular sport,” she said, noting that it can be a challenge to recruit new players. While the two sides of the tennis team play separately, they practice together and are all part of the same small team when it comes down to it. This is in contrast to other sports at Concordia, like gendered hockey teams who don’t practice together. Both Cesvet and Antoine say their participation with the tennis team is a labour of love. Concordia’s tennis club is an example of the power of crowdsourcing–something they have to resort to since Concordia only gives varsity teams financial support. They’ve had to be creative when it comes to finding funding for the team. Antoine explained that they play against other varsity teams from Université de Montréal, Laval and Université de Sherbrooke. “It’s very exciting for us because we get to compete at that level. One day our dream is to win Quebec so we can play in the Canadian championships,” he said. That dream may not be far off, as the tennis team made it to playoffs for the first time last year. The club has also been trying to raise awareness of club at Concordia. Cesvet explained that they began using Instagram consistently around two years ago, and have used other social media sites to try and boost their profile. She said they try and post about twice a week, and she said her studies in the intermedia stream of the Communications department help her do this with ease. Cesvet also takes care of the graphics the team uses to promote themselves. All the club’s coaches volunteer their time to help, and one of the current coaches was actually on the tennis team while he was a student at Concordia. There is a strong sense of community around the small team. 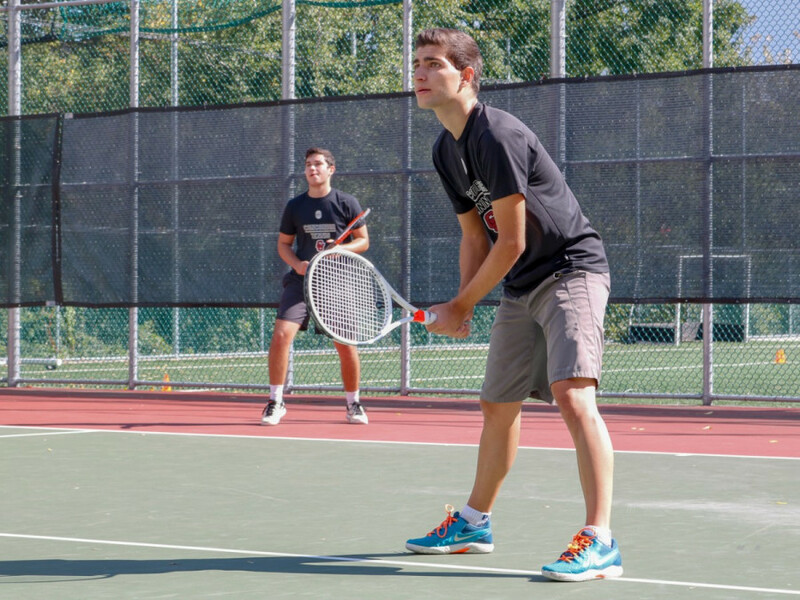 The tennis club has been practicing throughout the fall term in anticipation of their upcoming season. They usually practice twice a week. Antoine explained that, since they cannot practice at Loyola campus facilities, the team usually practices at the Canadian National Tennis Club, located at Stade Uniprix. They also sometimes practice at the Tennis 13 Academy in Laval. According to Antoine, training usually involves an emphasis on fitness and tennis strategy. Oftentimes the team members play matches against each other to practice. The team’s official season has yet to begin, though they started off the term by playing a game against McGill’s tennis team in September. They have also been playing other university teams throughout the term. Antoine said the tennis club will play their first official match of the season on Jan. 12. “This fall semester was our preseason, it’s a time where we get to know each other, train hard on fitness and tactics and also do preseason matches to determine our level before the official season,” he said. Though there is one member of the club he doesn’t have to get to know; his brother Gregoire. “I know his game by heart and vice versa, so it’s a lot of fun on the court,” said Antoine. Antoine has been playing with Grégoire since he was six, “It’s definitely a special bond we share,” said Antoine. The pair recently got their first win together in a doubles match against Queen’s University’s tennis club, in Kingston, ON. “It’s a bit of a dream come true for us,” said Antoine. Grégoire said he found it really fun to play with his brother, something that has been a constant throughout his life. He found the transition of joining the team easier because of them already knowing a lot about him from Antoine, but additionally because his older brother was able to help Grégoire understand the transition from highschool to college tennis playing, having already been through it. He hopes that more students will learn that Concordia has a tennis club, especially the first years. “I’ve met a few people who apparently played a lot of tennis but didn’t know there was a team so they didn’t come to tryouts. It’s a shame because there is for sure quite a few boys and girls who are really good but just don’t know about the team,” said Grégoire.